KABUL, Afghanistan — Five members of the Afghan Taliban who were freed from the U.S. military prison at Guantanamo Bay in exchange for captured American army Sgt. Bowe Bergdahl have joined the insurgent group's political office in Qatar, Taliban spokesman Zabihullah Mujahid said Tuesday. They will now be among Taliban representatives negotiating for peace in Afghanistan, a sign some negotiators in Kabul say indicates the Taliban's desire for a peace pact. Others fear the five, all of whom were close to the insurgent group's founder and hard-line leader Mullah Mohammed Omar, bring with them the same ultra-conservative interpretation of Islam that characterized the group's five-year rule that ended in 2001 with the U.S.-led invasion. 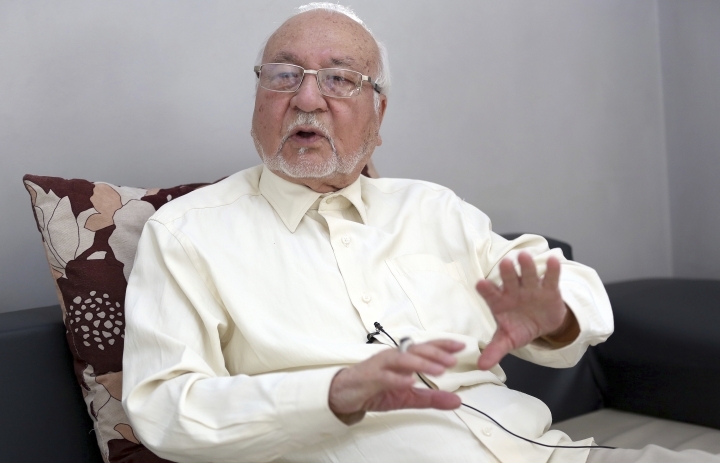 "The Taliban are bringing back their old generation, which means the Taliban have not changed their thinking or their leadership," said Haroun Mir, political analyst in the Afghan capital. "What we are more worried about is if tomorrow the Taliban say 'we are ready to negotiate,' who will represent Kabul? That is the big challenge because the government is so divided, not just ideologically but on ethnic lines." Efforts to find a peaceful end to Afghanistan's protracted war have accelerated since Washington appointed Afghan-American Zalmay Khalilzad as envoy to find a peaceful end to America's longest war, which has already cost the U.S. more than $900 billion. 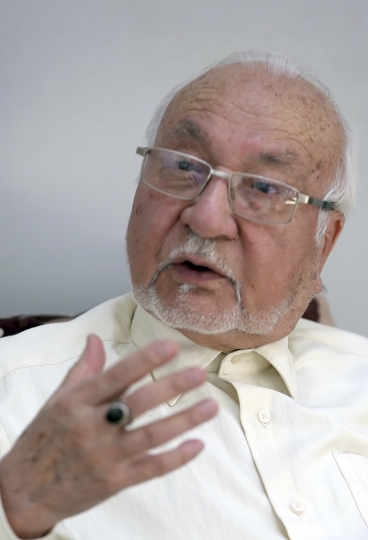 But Mohammed Ismail Qasimyar, a member of a government peace council, warned Washington against negotiating peace terms with the Taliban, saying Khalilzad's only job is to set the stage for direct talks between the Afghan government and the Taliban, something the insurgents have so far refused calling the government a U.S. puppet. Taliban officials reported meeting with Khalilzad in Qatar earlier this month, calling the exchange preliminary but pivotal. Washington neither confirmed nor denied the meeting, but Khalilzad was in Qatar at the time. A Taliban official familiar with the discussions told The Associated Press that talks ended with an agreement to meet again. Key among the Taliban's requests was recognition of their Qatar office, said the official, who spoke on condition he not be identified because he was not authorized to speak to the media. In an unexpected development, Pakistan also bowed to a long-standing Afghan Taliban demand that it release its senior leader, Mullah Abdul Ghani Baradar, who had been in jail in Pakistan since 2010. At the time, Baradar was reportedly jailed after bypassing Pakistan to open independent peace talks with Hamid Karzai, who was then Afghanistan's president. Baradar's release followed Khalilzad's first visit to Pakistan since being appointed Washington's peace envoy. Baradar issued an audio message after his release to the Taliban. The Pashto-language message, heard by an Associated Press reporter, seemed to indicate he was preparing for a role in the insurgent movement moving forward. Hakim Mujahed, a former Taliban member who is now also a member of the Afghan government peace council, said the presence of the five former Guantanamo prisoners in the Taliban's Qatar office is indicative of the Taliban's resolve to find a peace deal. He said the stature of the five within the insurgent movement will make a peace deal palatable to the rank and file, many of whom have resisted talks believing a military victory was within their grasp. "These people are respected among all the Taliban," said Mujahed. "Their word carries weight with the Taliban leadership and the mujahedeen." 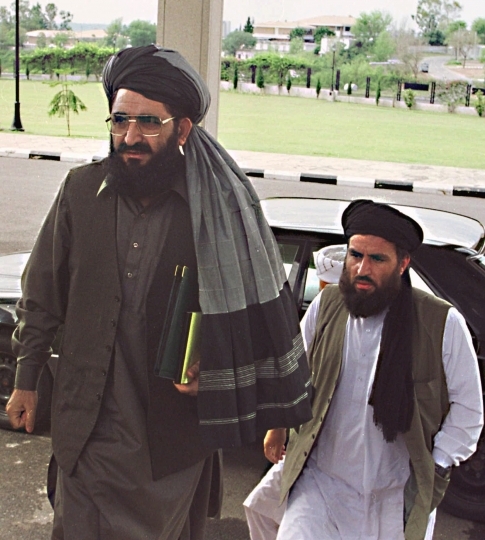 The others include Abdul Haq Wasiq, deputy intelligence minister, Mullah Norullah Nori, once described as the most significant Taliban leader held at Guantanamo Bay because of his particularly close relationship with Mullah Omar, who fought U.S.-led coalition forces in northern Afghanistan's Mazar-e-Sharif and Mohammad Nabi, a Taliban communications officer. All five are from southern Afghanistan, the Taliban's heartland. The five Taliban were released in 2014 in exchange for Bergdahl during the administration of President Barack Obama after drawn out negotiations. Bergdahl, who had been held in Taliban custody since 2009 when he wandered off a U.S. army base, was given a dishonorable discharge last year and fined $1,000 on charges of desertion and misbehavior.